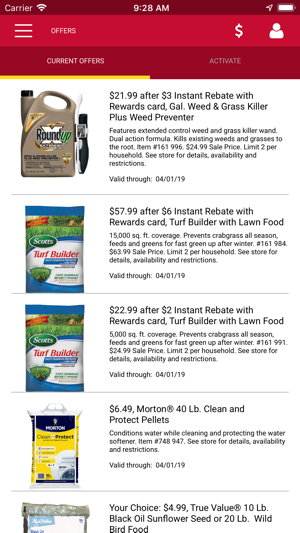 Reward Yourself with Convenience and Savings! 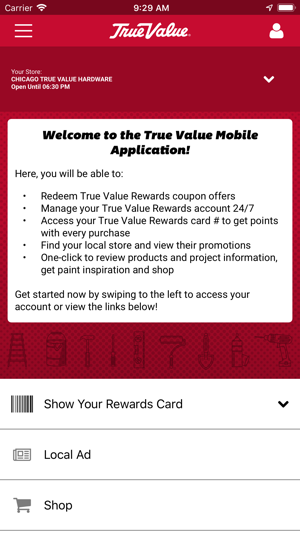 Download the True Value® mobile app to get special member savings, access to your account or to find your local True Value hardware store. sent to you via the mobile app. 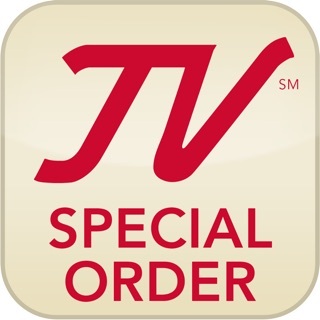 and reorder needed items—like your furnace filters. 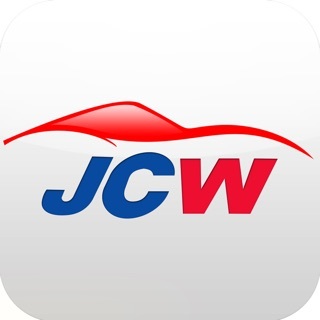 Shop our deals right from your phone! 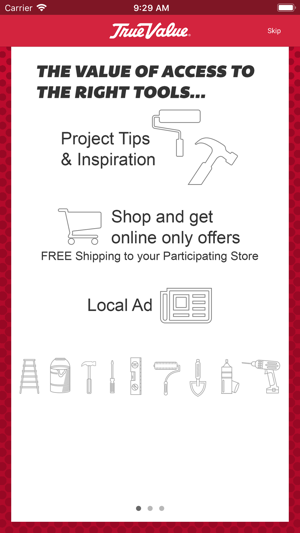 Our ads feature great low prices on the products you need most. 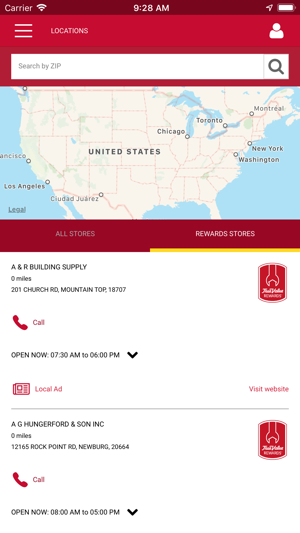 Find a True Value Store Near You! hours of operation and directions. Not a Rewards member yet? 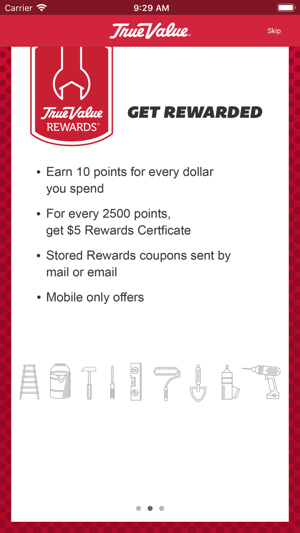 Learn more about the True Value Rewards program and sign up today! Keeps crashing when trying to view my rewards card from the top left drop down. In addition, when clicking on the down arrow to quick view the card it's blank. Has very limited functionality and terrible execution. Coupons are not populated (they show on web version), the card number barcode is blank, and the contact form won’t let you submit. 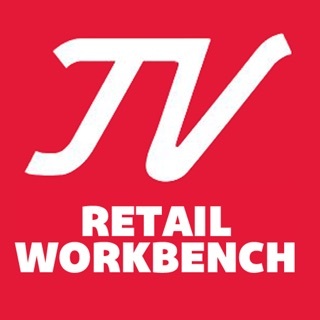 Have contacted the company many times and not heard anything in over a week. Save yourself a headache and skip this app. In order to register you need to put in some personal info (like with any rewards card). There’s an impasse when you get to the drop-down menu to enter your state. It’s empty, and you can’t type anything in since it’s a drop-down, but you can’t register without it.